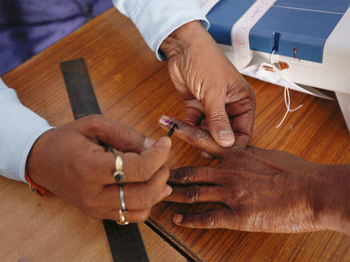 Mangaluru, Apr 01, 2019: It seems impossible for an unfortunate section of the citizens to cast their votes. They possess the voter ID cards. Their name is on the voters list. Yet, all of these patients getting treatments at various hospitals, have no say. According to the Health Department, daily at least 10,000 patients get admitted into the hospitals in the region for various ailments. About the same number of patients may be expected to remain admitted at various hospitals in the state on voting day as well. Inevitably these will not be able to cast their votes this election. As per the source from a private hospital in Mangaluru, which has the capacity to provide treatments to 1,000 patients at a time, currently has 760 in patient. Also add to this number and equal number of attendants, their relatives and so on to take of them. Many of the patients are from Kerala, Uttara Kannada and other districts. According to the doctors treating the patients, of the patients, most patients cannot leave the hospital. It follows that many such people will definitely be not able to cast their votes on the Election Day. If this is the situation in one private hospital in Mangaluru, there are around 10 such hospitals in Mangaluru city with 1,000 bed capacity. Here too a similar condition persists and hence, more or less 3,000 patients shall be deprived from the opportunity to cast their votes. Besides, it will not be possible for all those who are looking after the patients at the 950 bed capacity Wenlock Government Hospital to leave the hospital and go to cast their votes. “The Election Commission has not taken any decision on providing an opportunity for the patients receiving treatment in the hospital to cast their votes. The commission might take a proper decision regarding this in the next phase. But, those who are taking care of the patients in the hospital must please make time, to come out of the hospital and cast their votes,” requested Sasikanth Senthil, DK DC.